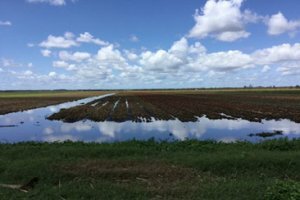 According to an Oct. 4 report, Florida’s farm families suffered losses in excess of $2.5 billion as a result of Hurricane Irma. The greatest destruction occurred among citrus and ornamental plant operations. The report, issued by Agriculture Commissioner Adam Putnam, is a preliminary estimate. “We are likely to see even greater economic losses as we account for loss of future production and the cost to rebuild infrastructure,” Putnam said in a statement.